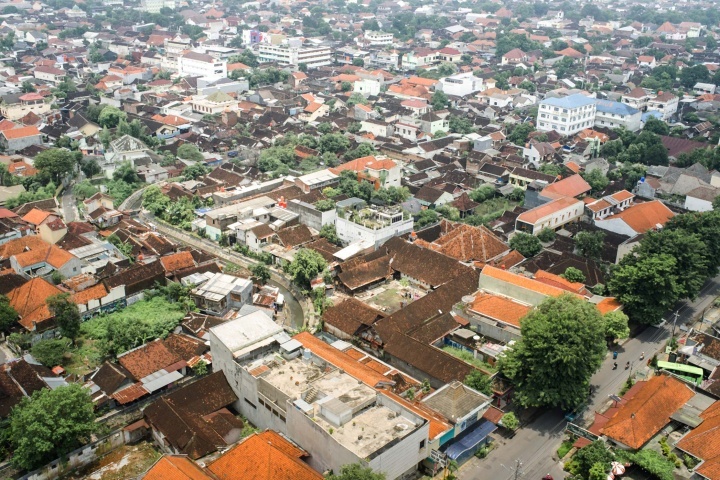 Surakarta (Solo for short), is a major city in Central Java. 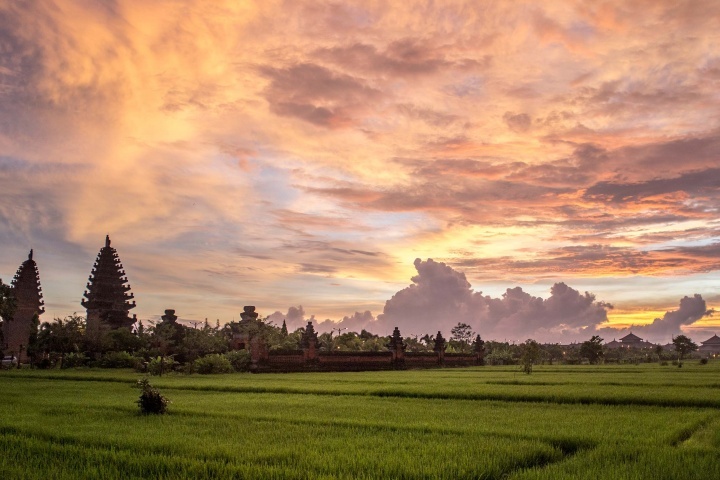 Along with Yogyakarta, it forms part of two old dynasties of the Mataram Sultanate; the Sultanate of Yogja and the Sultanate of Solo. 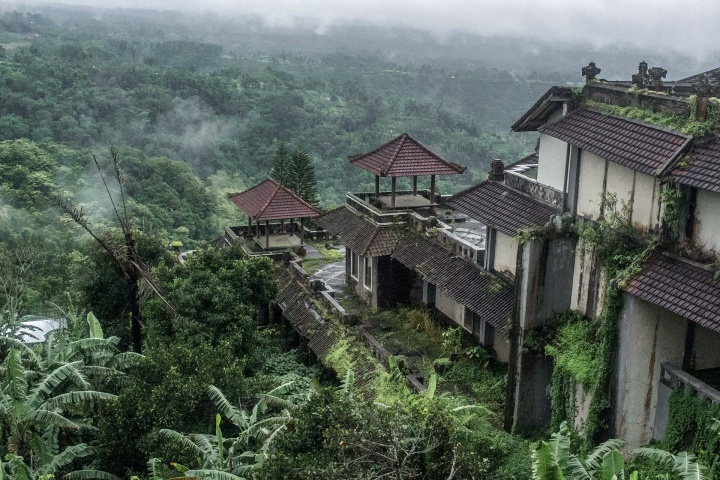 It takes its name from the longest river in Java, which passes through the city. During the 18th century, the kingdom was divided and the two cities became the successors of the kingdom. 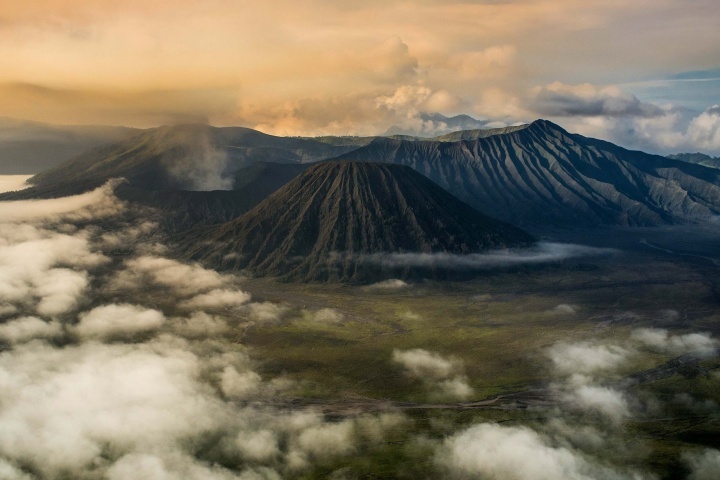 Solo is considered to be Yogyakarta’s twin sister, as the two look quite similar to each other. 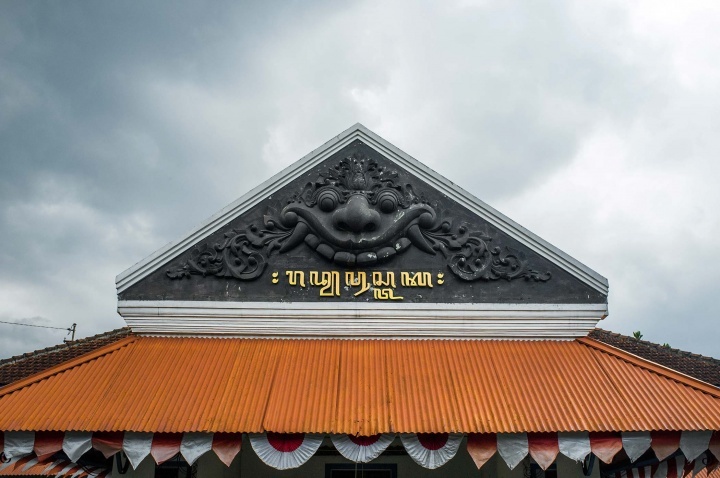 Despite being a modern city, Solo is probably the least west-influenced of the pair and has managed to hold on to its traditional Javanese character. 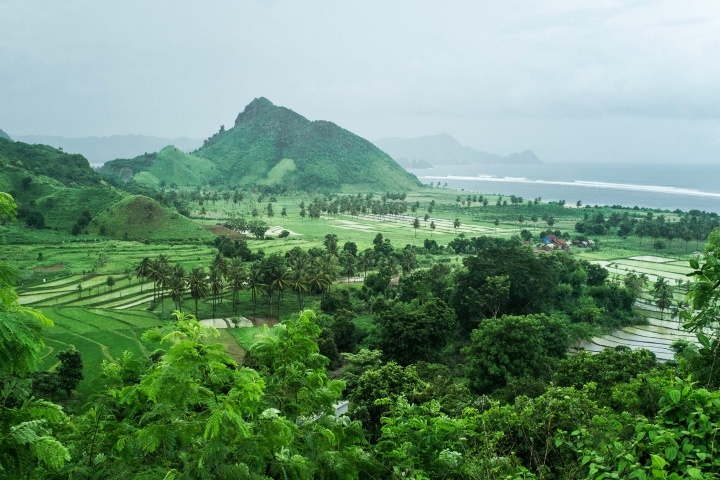 Compared to Yogyakarta, the influx of tourists to Solo is much smaller. Surakarta has also been the site of various incidents of civil unrest, including the Siege of Surakarta, the Sarekat riots and the May riots, the latter two having been aimed against the ethnic Chinese population. Pura Mangkunegaran, the palace residence of the Prince Arya Mangkunegara and his family in Surakarta (1757). 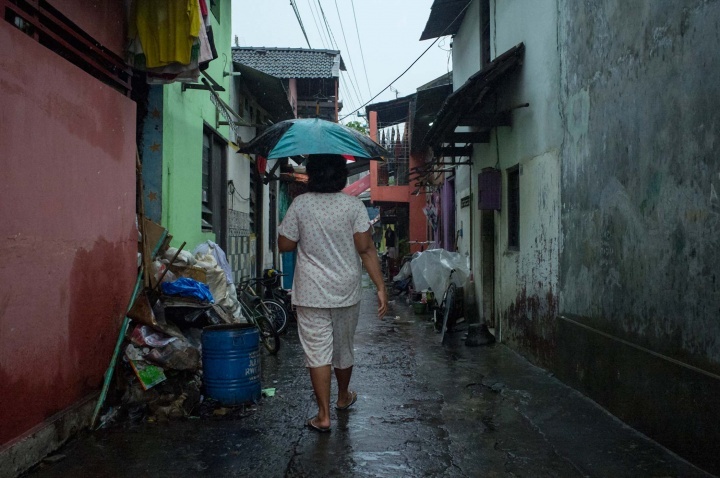 Woman walking down the street in downtown Solo on a rainy day. 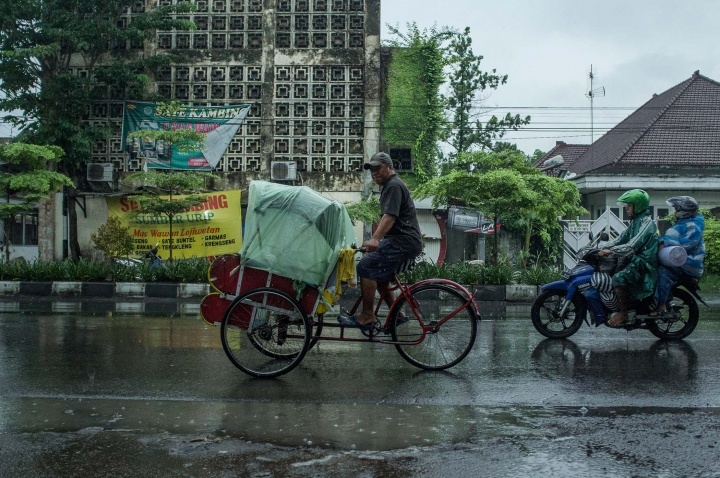 A Chinese becak driver in downtown Solo. 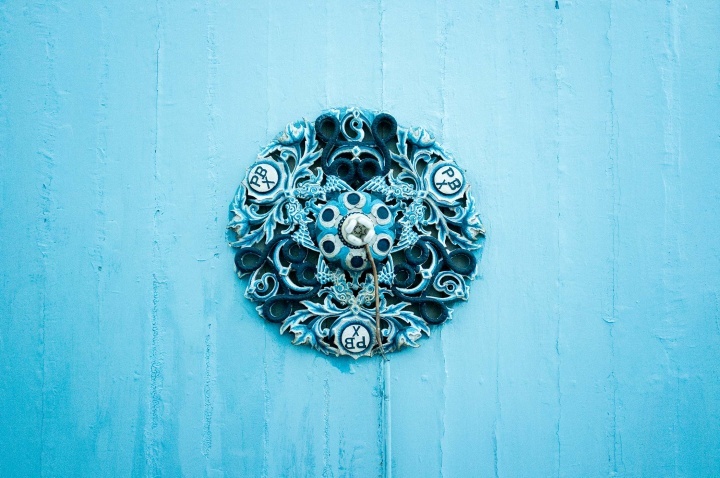 The sky blue wooden ceiling of the Kraton Surakarta (palace). From my attempts at conversations with the locals, I learned that Surakartans are poor, but still very happy and positive people. The Palace area is very large, it consists of the palace, gardens and noblemens' dwellings and everything is surrounded by a big concrete fence. 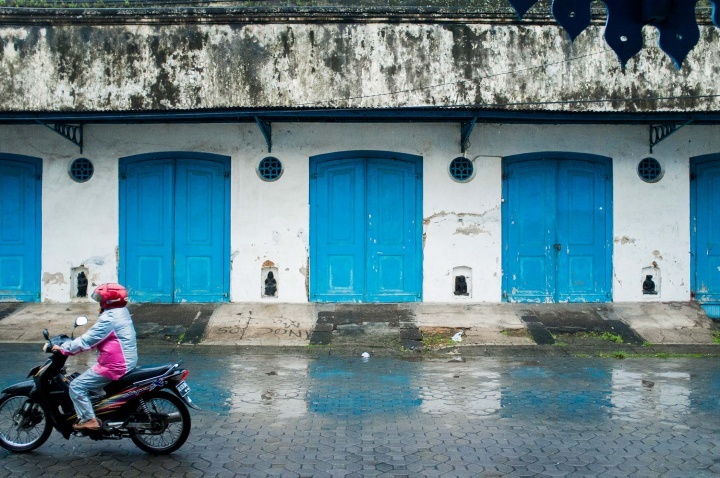 The buildings inside the palace are all painted in the same colours — sky blue for the doors and window shutters and white for the walls. 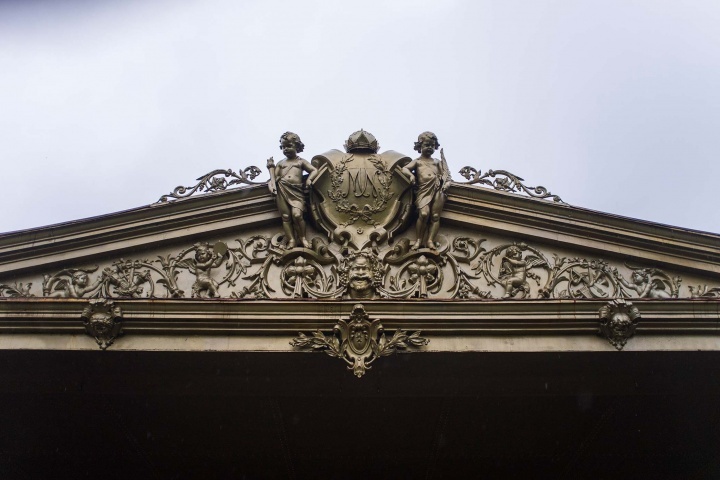 The city hides small colourful details. 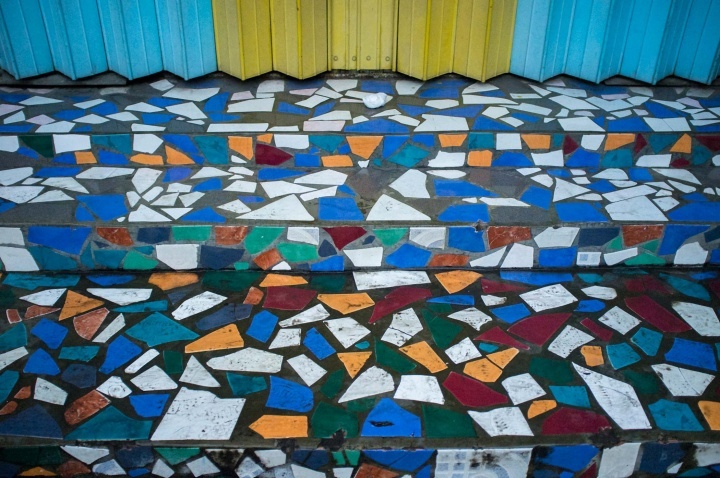 The steps of a store's porch. 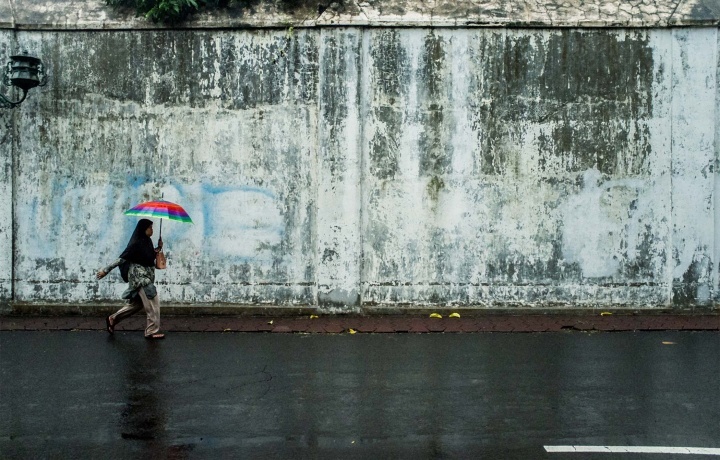 A woman with a brightly coloured umbrella walking outside the palace walls. 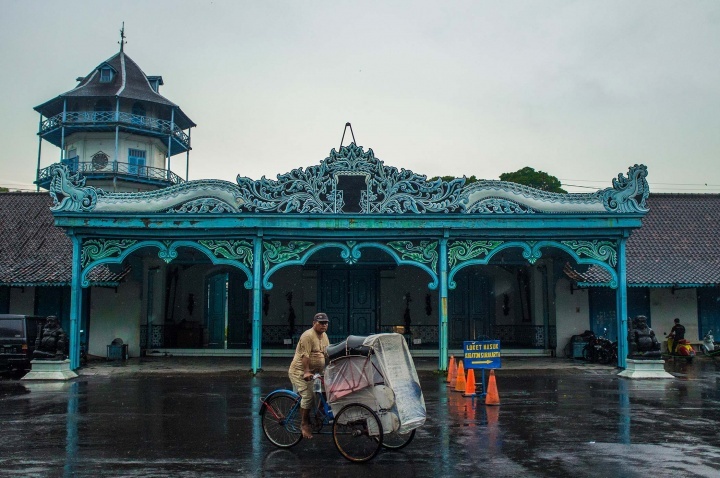 A man on a becak passes the main facade of Baleroto in Kemandungan Lor, the entrance of the Sri Manganti compound in Kraton Surakarta. The clock tower in the background is called Panggung Songgobuwono. 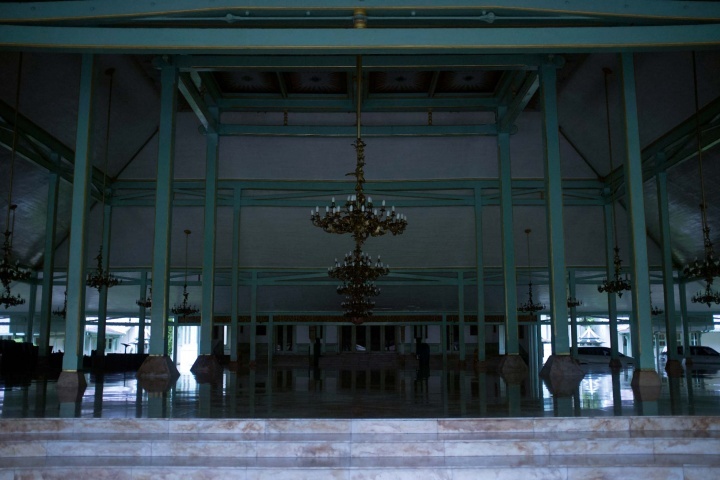 The principal residence of the Sultan was the Kraton (palace), sometimes called the Kraton Solo. 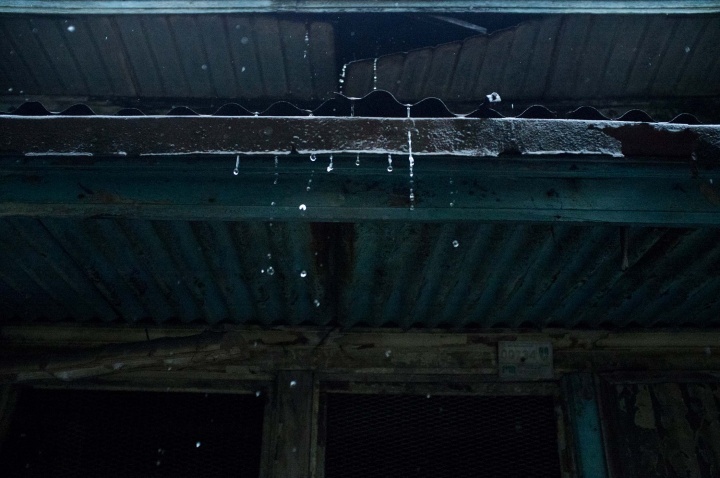 Once the hub of an empire, today the Kraton Surakarta is a faded memorial of a bygone era.Roof of a nobleman's dwelling. 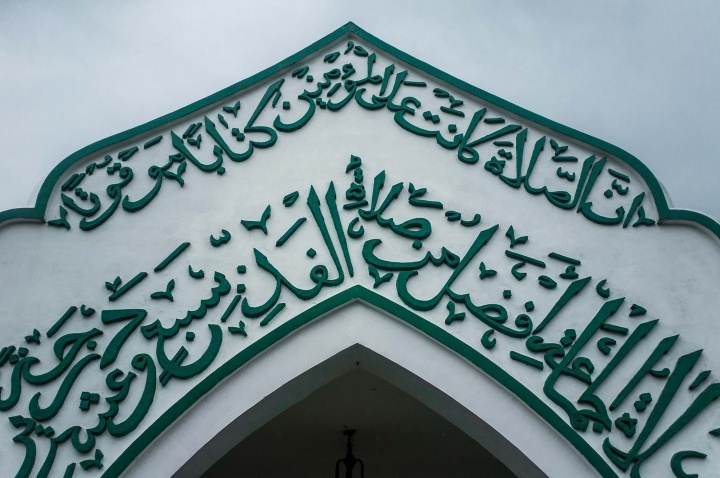 Entrance gates of the local mosque. House of Danar Hadi has the biggest private batik collection in Indonesia, housing some 10,000 pieces which belong to the magnate Santosa Doellah. 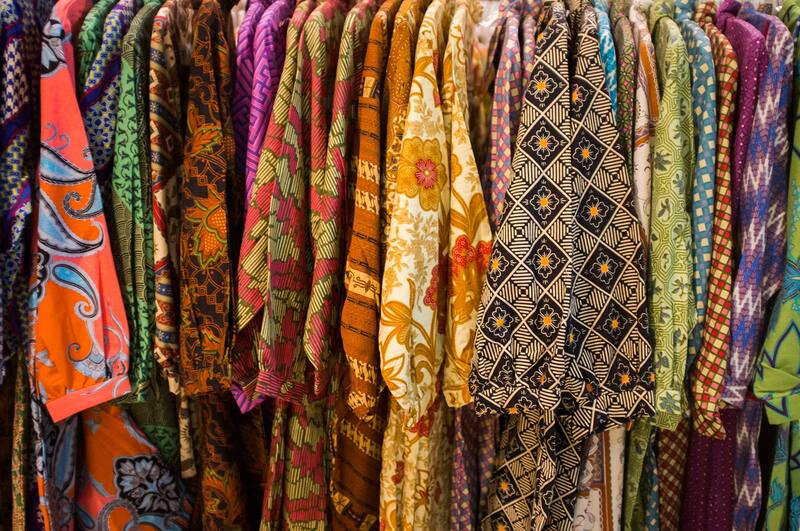 The museum displays a wide variety of batik reflecting different cultural influences and periods - Javanese, Chinese, Indian and even colonial Dutch. 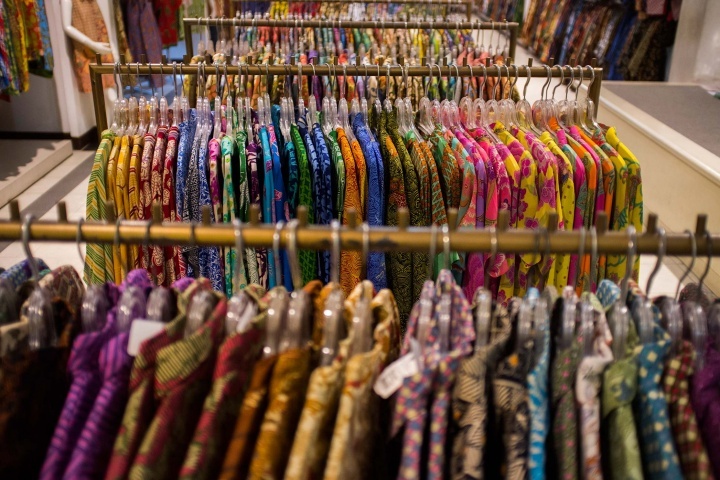 Batik is Indonesia's national fabric and synonymous with the culture of Java itself. The craft of Batik is an ancient Javanese tradition that has been passed down through generations. Some batik patterns used to signify social status and hierarchy, such as the Parang pattern, which was reserved only for use by the nobility. 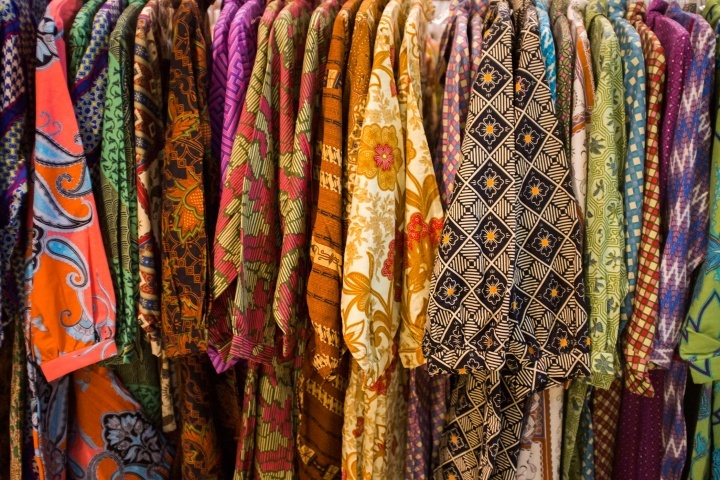 Nowadays, the traditional method is threatened by conventional mass printed batik, especially cheap imitations spawned from Chinese factories. 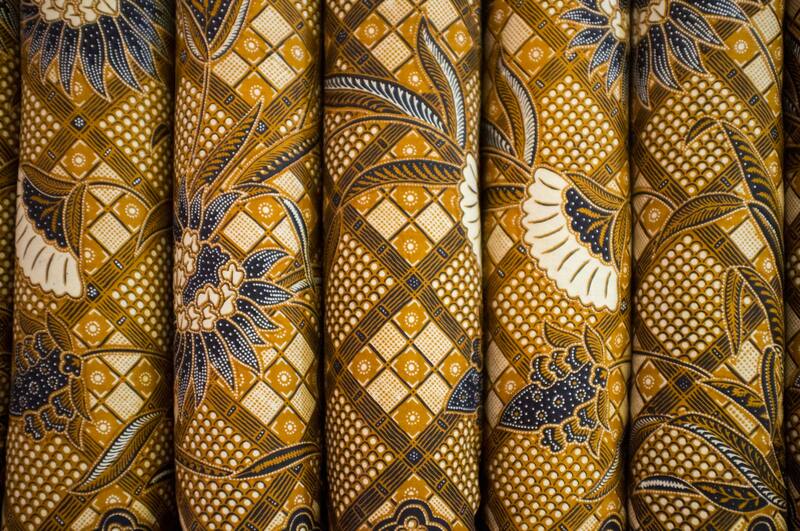 Solo produces cigarettes, herbal medicines and various other light industry products, but batik is far and away the most important manufacturing activity in the city. Behind the museum is a workshop which allows visitors to see the process of traditional batik making from start to finish. 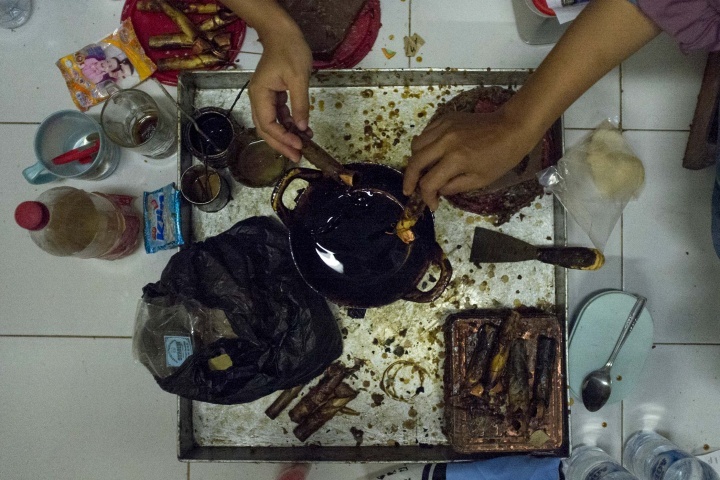 Traditional batik making is characterised by the wax-resist dying technique, in which melted wax is applied to the fabric using the Canting - a kind of utensil that has a metal cup to hold the melted wax and a tiny spout to drip it. It is held like a stylus and used to cover the pre-drawn pattern lines to allow it to be dyed afterwards. 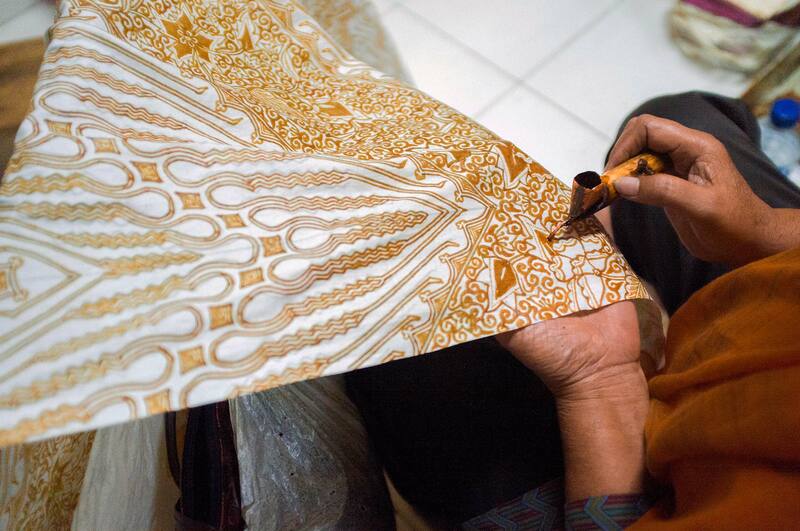 The process requires painstaking precision as batik patterns are sometimes extremely complex. 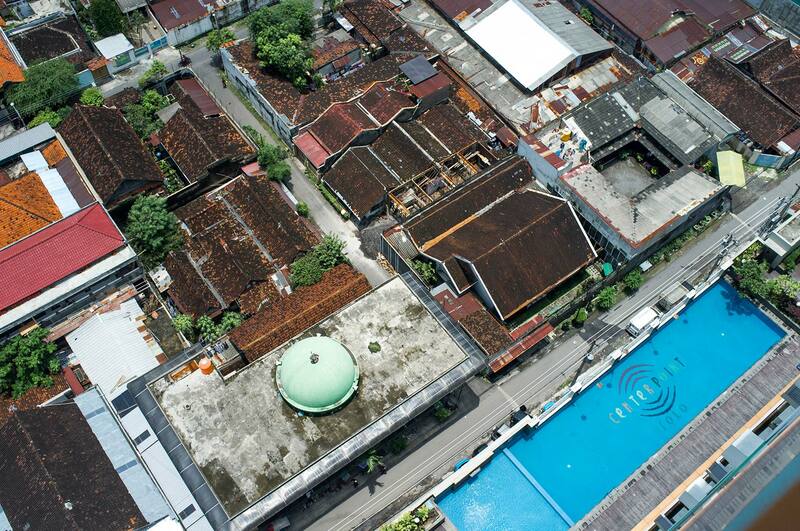 View over orange rooftops of Surakarta from my hotel. 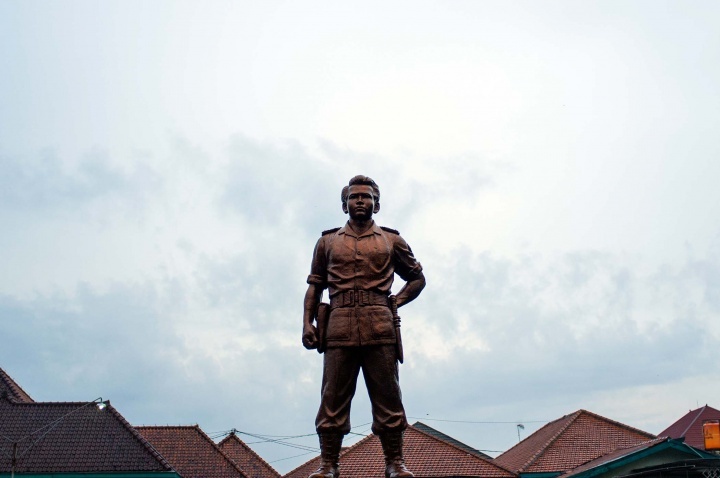 Statue of the Indonesian nationalist fighter Slamet Rijadi. 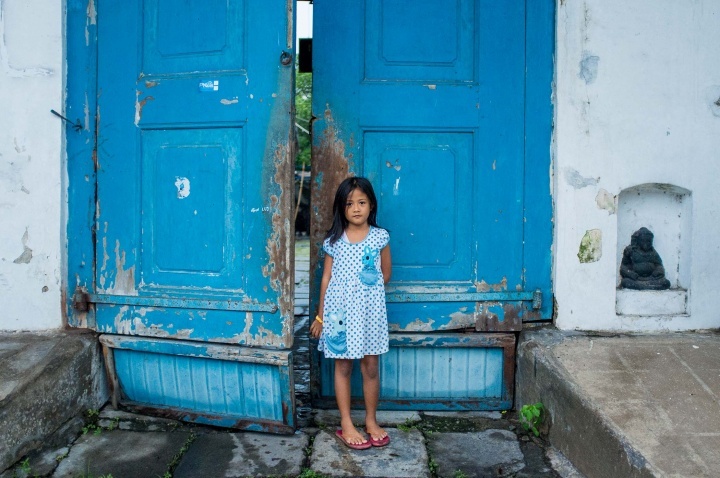 After the revolution he led Indonesian forces in Surakarta against the returning Dutch. He was killed at the age of 23. After his death he was bestowed the title of a National Hero of Indonesia. He received several medals posthumously and streets were named after him.